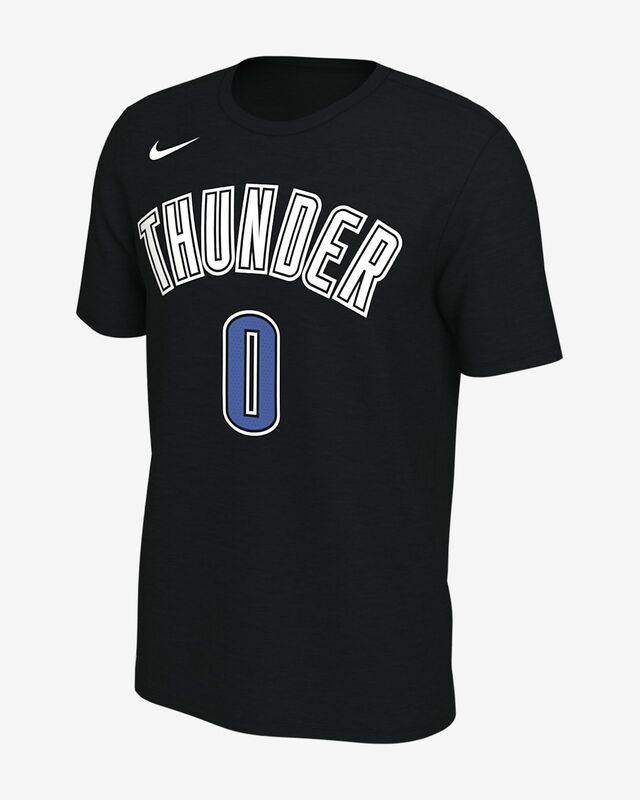 Rep your favorite player on your favorite team in the Oklahoma City Thunder Nike Dri-FIT Men's NBA T-Shirt. It's made from soft, sweat-wicking fabric and features lettering, numbering and logos inspired by the authentic Icon jersey. A PLAYER TEE INSPIRED BY THE NBA ICON JERSEY. 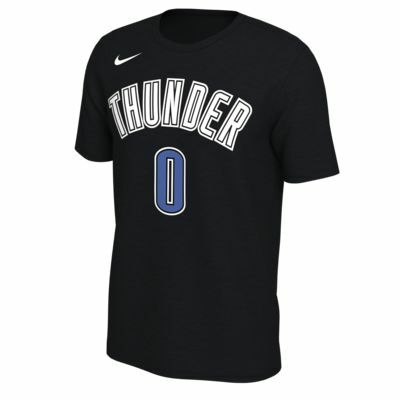 Rep your favorite player on your favorite team in the Oklahoma City Thunder Nike Dri-FIT Men&apos;s NBA T-Shirt. It&apos;s made from soft, sweat-wicking fabric and features lettering, numbering and logos inspired by the authentic Icon jersey. Have your say. Be the first to review the Russell Westbrook Oklahoma City Thunder Nike Dri-FIT.